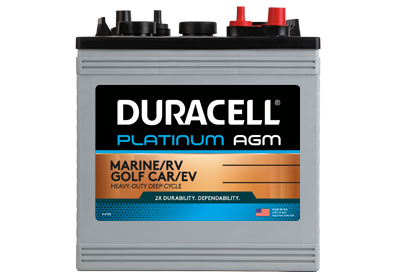 Duracell Golf Car AGM premium batteries feature a durability-enhanced design to handle even the most demanding electric vehicle application. Their added resiliency to deep discharge and vibration damage provides the industry’s best AGM-powered solution for dependable deep cycle service. 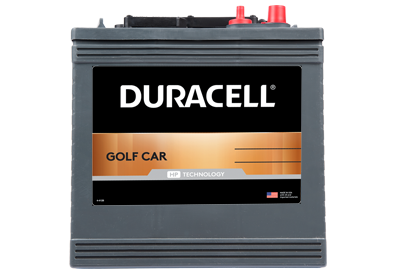 Duracell Golf Car batteries are especially designed to deliver superior user convenience with extended trusted performance. Special manufacturing features reduce downtime while enabling more time on the green with less maintenance in-between.